Did you know that CVS has a monthly flier in addition to their weekly fliers? Well they do and these deals run all month long so be sure to use them when you need to add extra items to that $4/$20 coupon you are using at the register. Preparation H wipes 10 ct., $4.19 (get $1 ECB) Limit 5 – Okay post baby delievery (no I am not prego) these are great! As I have stated before it is important to let people in the service industry know when they are doing a good job, just as much as it is important to let people know when they are doing a bad job. Below is a list of stores and ways to contact them for your postive/negative experience. 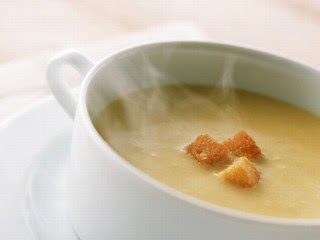 Get a free Campbell’s Select Harvest Soup by texting “select” to 467467. They will text you back asking for your home phone number. Upon giving them your home phone number they will text you back with YOUR address (yes, technology is that good.) You should get a coupon for your free Campbell’s Soup in 2-4 weeks. That easy! I am copying and pasting Jenny’s Post at Southern Savers. Jenny is great frugal coupon mom that is so full of knowledge. She is a great resource. I thought it might help some of us out when trying to understand the Publix grocery shopping challenge. “I have seen over the recent weeks a lot of questions and issues with coupons at Publix so this is an attempt to answer questions and to help resolve issues. I have also been reminded recently of some policy differences by store. 1) They double coupons that are .50¢ or less. Doubling only applies to manufacturer’s coupons, not store or competitor coupons. Publix does not limit the number of like/same coupons that you can double. 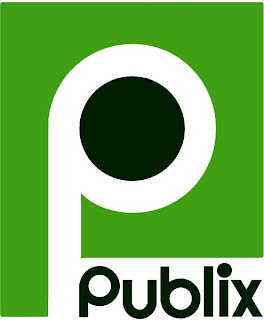 2) Publix accepts printable coupons. Publix does not accept printable coupons for a free item if the value is over $5. 3) You may use one Publix store coupon and one manufacturer’s coupon per item, unless either coupon explicitly prohibits it. 4) They do not accept any expired coupons. 5) You may use 2 coupons for B1G1 sale items if you buy 2 items. You may also use a store and manufacturer coupon for each item as well. 6) With B1G1 sale items you do not have to purchase 2 items, each will ring up as half price. 7) Publix does not have a specific policy limiting coupons. The register is programmed to require a manager’s approval when the coupons total over $50. The register is also programmed to accept no more coupons (store and manufacturer together) than items. If you are using a store and a manufacturer coupon for every item in your cart, you will need manager intervention. 2) Many stores will not let you use coupons for both items that are B1G1. You can still use one store and one manufacturer, but not 2 of both. – This is actually against corporate policy if you would like to call and complain about your store and try to fight it then go for it! 3) To get the sale price on B1G1 items you must buy 2 items, one is full price and the second is free. I appreciate what she says about not abusing the system. They can pull the coupon policy that they have set up at anytime, espeically if they keep loosing money. I agree they are probably making A LOT more money than loosing, but we don’t want them to tighten their policy because it would hurt our personal finances as well. My girlfriend Danielle mentioned thanking the manager/store and recognizing the employees who went out of their way to be nice (or just did a good job doing their job) is always a bonus. We want Publix to know we appreciate their policy and we appreicate their customer service. Thanks. I will step down from my soapbox now.